In a steel-and-lead-encased bunker 20 feet below the basement level of his house, a soldier waits for his final orders. On the surface, a plague ravages the planet, infecting over 90% of the populace. The bacterium burrows through the brain, destroying all signs of humanity and leaving behind little more than base, prehistoric instincts. The infected turn into hyper-aggressive predators, with an insatiable desire to kill and feed. Someday soon, the soldier will have to open the hatch to his bunker, and step out into this new wasteland, to complete his mission: Subvenire refectus. To rescue and rebuild. The Remaining is the first book in the best-selling series, which tells a gritty tale of survival, perseverance and fighting to get back what has been lost. What made the experience of listening to The Remaining the most enjoyable? The fast storyline plot. Lee is always in a new situation, and mostly bad ones, but he manages to come out in one piece. Near death in many battles, and all the surrounding cast around him has unique characters that made sense. The baddies, you get it, has all the right traits that made you hate them, and somehow that made the murders by Lee more understandable. It's kill or be killed. Christian Rummels is AMAZING by the way. He can narrate in a comfortable pace, voice as male and female, and managed to impersonate 2 different people talking with their own unique way of speech and tone. Just AMAZING. What other book might you compare The Remaining to, and why? I've started on the Mountain Man. And frankly speaking, deciding to stop soon. Totally. If I have the time. But I normally only listen when I'm driving. The scenes are not hard to remember as Christian narration can quickly get you back into the storyline in no time. Best Fiction I've heard in ages. Hardly ever bother with fiction any more. I am very glad I made an exception for this. it's just a great story, that doesn't get bogged down, but still really delivers. Very well written however some frustrating elements of the story line made some of the characters decision making somewhat questionable. Great introduction and premise for the storyline and protagonists introduction, just some of the story line left me wanting more. Great performance by the narrator. Overall, quite enjoyable. Great take on the Zombie Apocalypse. Interesting characters. A bit slow to pick up but eventually went all out swinging. This author must have gone to Stephan J. Cannell school. The action is intense, the bad guys are pure evil and protagonist constantly finds himself in situations that go from bad to worse. 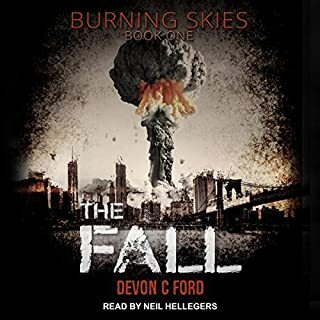 Unlike Cannell, this is much grittier and apocalyptic in scope. I gave this series a try since the reviews were so positive, though I don't typically go for zombie type fiction. However, I was very surprised at the quality of writing and narration. I have gone on to listen to several more in this series and they all hold up to the same quality. I wouldn't call this a "zombie" series because the "infected" humans are more capable and enduring than walking corpses. They are relentless though. D.J. 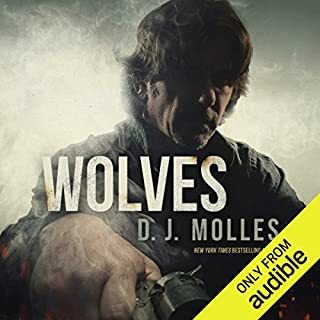 Molles does a terrific job of conjuring up a fairly unique story with good character development. The story is action packed and it's hard to pull away from, like getting on a roller coaster! Be warned that there is a LOT of cursing. As the story advanced it seemed that the author took glee and inserting as many F words as possible. It does add reality to a point but at times it's too gratuitous. 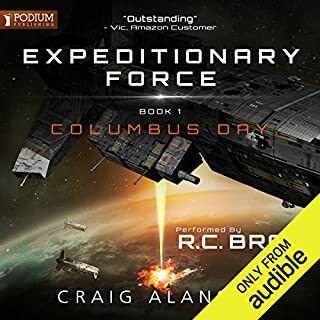 Overall this is a wonderful audiobook to try if you are getting board with your other favorite audiobook series. If you could sum up The Remaining in three words, what would they be? the infected hoard scene. reminded me of some of the scenes from the movie, world war z, with hard-charging zombies. this is a great book! definitely in my top 5. the author does things right. w/o divulging too much, lee works for the dept. of homeland security. he is one of the 48 coordinators spread across the lower 48 states. his job is to get into a bunker whenever something big happens. sometimes, he's in for a couple of days, and sometimes he's in for a week or two. when the fury virus hits, frank lee's commander orders him into his bunker. as the story opens, lee is going stir crazy b/c this is the longest he's ever gone being cooped up in the bunker, and the news is not good- people are killing each other. it's july 3rd and all of the news web sites are stuck on news from june 28th. lee is eagerly awaiting his regularly scheduled call from frank, hoping frank will give him the low down. lee's only companion is his trained german shepherd, tango. 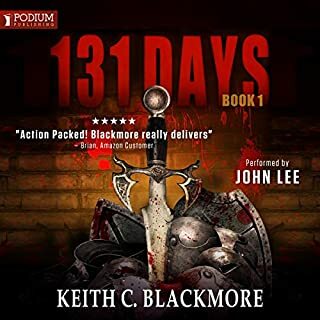 the author does a great job portraying the emotions lee goes through, from feeling antsy, anxious, and claustrophobic in his bunker to being jumpy and nervous when leaving his bunker for the first time. the range of emotions lee goes through is totally believable and realistic.you can feel what he is going through. i found the pacing of the story to be perfect. the author doesn't rush the plot, and the plot keeps moving. there are no slow points, and you won't get bored at all. there's plenty of character development mixed in with the action. while this is not a traditional zombie book, i really dug the spin the author put on it. the infected are alive, aggressive, and fast, reminiscent of 28 days later. just like in that movie, when the infected show up in this story, it is heart pounding! christian rummel's narration perfectly fits lee. he was a pleasure to listen. overall, a truly exceptional and realistic apocylaptic story. if you're into end of the world or zombie stories, you'll definitely want to add this to your library. i highly recommend it! This book just stopped mid story. Like you just finished a chapter. I understand it’s a series but one book SHOULD be able to stand in its own. This one does not. Not too happy. Mitch Rapp meets World War Z, very engaging! This series has captured my interest, and is very interesting, possible, and timely. Never is the word "zombie" mentioned, but that's what this is. And like World War Z, it is a bacteria that causes the infection. 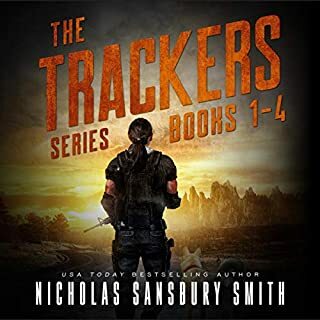 The Main Character, Lee Harden, is not Mitch Rapp, nor is he Brad Pitt, but he is a well-trained soldier with orders to save survivors, and reestablish order. Many of us love this collapsed-civilization genre, and it is always interesting to see how authors envision people's reactions to it. They seem to be pretty spot on with the cringers, the whiners, the cowards, the bullies, the helpers, the savers, the defenders, the organizers, etc. We are always interested in the science of the contagion, and its mutations. This story is fascinating in all these areas. What bothered me was the foolish mistakes that our hero made from the very beginning. He disobeyed orders and contacted one of the other 48 prepared soldiers holed up in their bunkers before protocol permitted, and he also left his bunker more than a week earlier than ordered. I don't understand why he and the other 47 soldiers were expected to act on their own, and not to meet up and join forces to do their job. I don't think it would have made much of a difference in the state of the world if he had waited the full ordered time, but he met with disaster after disaster because of it. Nevertheless, the story has me captivated, and I will read them all. 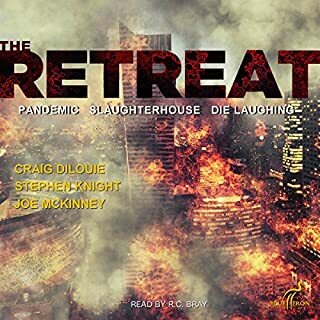 Christian Rummel is always a good narrator, and adds a lot of depth and reality to the story. Thank you Mike Naka for suggesting this. (This guy has the best reviews on Audible, worth checking out). Nothing new here... just a well written end of the world thriller. Like Walking Dead, the protagonist enters the zombie apocalypse after the world falls. Here the main character has been in an underground bunker for a month before coming out into the open. & like Walking Dead, the main bad guys are not the Zombies but bands of humans preying on one another. I liked the take Molles had here where the zombies were almost still humans. They have working minds still and have the ability to think through simple problems. They use tools such as knives and hatchets & can still form intelligible thoughts. 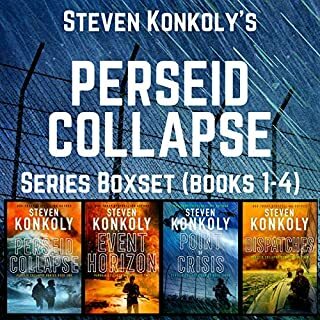 I'm hooked for #2 in this series (cliff hanger ending alert). When are Zombies not Zombies? 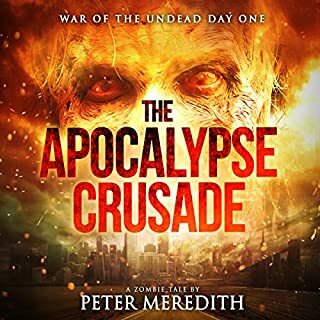 In “The Remaining” zombie like people are running amuck through the world and Captain Lee Harden is there to try and help bring civilization back from the brink! The story has a great premise but it lacks direction. 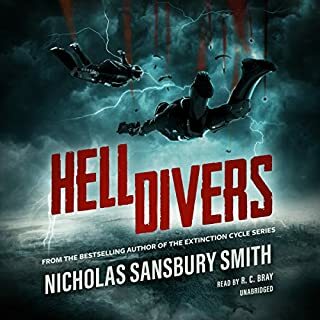 The reader gets a pretty good idea of what’s going on, meeting various characters and is entertained with some great action, but the story doesn't go anywhere. The end leaves nothing wrapped up (which is one of my pet peeves) so that you have to read the second book. That being said, I've already picked up the second book and will be starting it soon. It has great writing and big potential; you just have to be prepared to read more than one book to get a complete picture. Mr. Rummel does a great job in the narration, which really brings the story to life! I have never had any interest in the living dead. I have seen a couple movies which, in the end, seemed rather unimaginative in their approach to generating a reliable adrenaline rush and not much more. Still, though I clearly don't share it, I have always recognized that the topic holds an intrinsic fascination for many people beyond the simple shoot-them-in-the-head-and-don't-get-bitten basics of the genre, and perhaps I was missing something I simply had not connected with as yet. So when I saw "The Remaining" at reduced price, I decided to take the plunge and see if I could get used to the water. 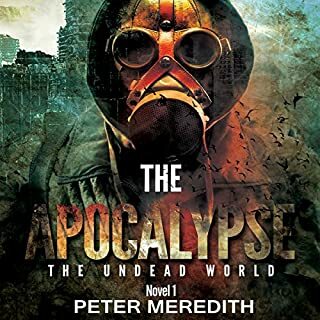 Unfortunately nothing about this book gave me any reason to read another zombie thriller, whether it be the next in this series or one of the others which have been so successful lately. Even these supercharged hordes were not enough to make up for the fact that the scope of the plot and the action is so limited by the basic premise. Even when you add the presence of petty local war lords energized by the loss of societal structure, the possibilities of situation and character are sadly circumscribed. A writer, certainly a run of the mill writer, has very little leeway given the requirements of the genre. It is not a formula which encourages really interesting character development or a finely crafted plot. I suspect that the real appeal of the genre lies in the question, "What would I do and could I survive," and I might be able to get caught up in that challenging world of the imagination if it were not for the fact that nothing about the story line is believable. Main characters make foolish decisions to provide a path to the next confrontation with the hordes or the thugs. Then the characters we are supposed to care about overcome the swarms in completely unrealistic action sequences because they must in order for the story to go on. And the story going on seems, really, to be the actual point of this particular book. It is short and ends very much in the middle of things in hopes that our curiosity will drive the sale of the next in the series. Is that all there is? No, no, there is much much more to come, but I am reasonably certain that none of it will be anything "more" at all. I'm out. Would you try another book from D. J. Molles and/or Christian Rummel? Has The Remaining turned you off from other books in this genre? Maybe if he had better material to work with. I don't understand the high reviews. The dialogue was painfully inauthentic, the action was repetitive, and the scenarios were implausible and cliched (even for a zombie story). I found myself constantly distracted with thoughts like "no one actually talks like this" and "no special forces-trained combatant makes a decision like this." The book would be pretty light on content if you took out all the parts where the characters make nonsensical decisions and have to subsequently run around the perimeter of buildings trying to escape zombies and/or hillbillies. The voice acting seemed a little over-the-top as well. As the protagonist burst from one asinine scene to the next sounding like a mix between a jock and a kindergarten teacher, depending on who he was interacting with, I couldn't help but roll my eyes. Don't even get me started on the basic premise of the book either...I wanted to enjoy it, but it was just not good. I am so glad that I took a chance with The Remaining, turns out it is the first book of a series that I must now complete. D.J. Molles first introduces a secret "super solider" that is tucked away just in case the worst happens, if it does his orders are to eliminate the threat and to aid in the reestablishment of a government. 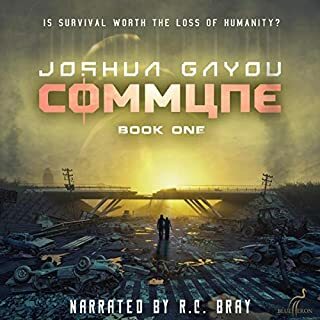 Much of the audiobook is the internal dialog of this solider and the personal struggles of being isolated from the world for over a month to emerge to a different world. Turns out that the plague that ravaged the planet turns people into zombie like creatures that have some intelligence and some talk or communicate or scream which only adds to the soldiers torment of killing them. Filled with pulse pounding suspense, exquisitely engineered action and a truly terrifying take on zombies. 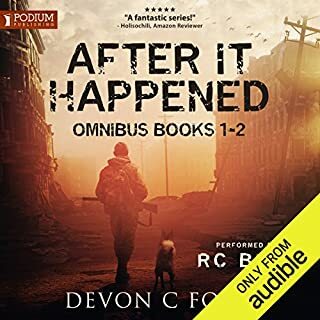 I have already bought the second audiobook in the series and cannot wait to be further horrified. Books 1-4 are some of the best work in the genre! Well paced, calm, no silly voices, no hysterical action sequences, no unwarranted tempo changes - the voice and the character match. 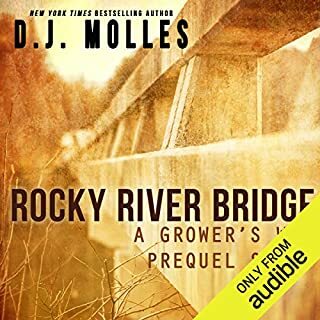 Would you try another book written by D. J. Molles or narrated by Christian Rummel? Definitely not the author. This is poor. Earth Abides, Swan Song, Lucifer's Hammer are all examples that this guy needs to learn from. The narrator was ok, nothing special. What was most disappointing about D. J. Molles’s story? Character interactions are cheesy. You would not talk they way they do in a zombie apocalypse. Having a cheesy laugh and joke just wouldn't happen. The decision making it stupid as well. Turns the whole thing into an unbelievable mess. If you like this you will be so much more impressed by one of the aforementioned books. The voices could've been more tapered, less sharp. It did start getting exciting towards the end and I wanted him to reach a big cache of weapons... need to wait until the second book for that. I don't think so! In fact I think I will be asking for a refund on this one. It's not exactly a book, just a quarter of a book. The older apocalypse books are SO SO much better. 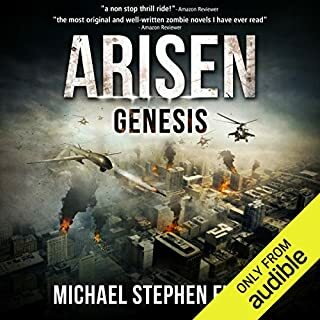 Knowing that my favourite post-Apocalyptic thriller series (Arisen) is soon to end I'm keen to find another with the same bite. The Remaining has many of the elements required but doesn't quite fire the imagination in the same ways. 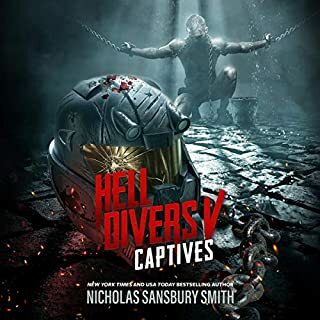 I did enjoy some of it but the premise seemed to be a fairly weak excuse to put a special forces soldier in the midst of a minor location in America. Other than that there is nothing hugely wrong with the book but equally there wasn't anything outstanding about it either. It's mostly fairly standard zombie fayre though I do think that leaving the zombies a little more intelligence and a herd mentality offered some promise. I can see why people are enjoying the series but to me it doesn't stand out as anything special. I wish they'd made this series for TV, instead of "The Walking Dead".. It's far better. Not your average zombie-romp. A well constructed story. Well told. A good companion. 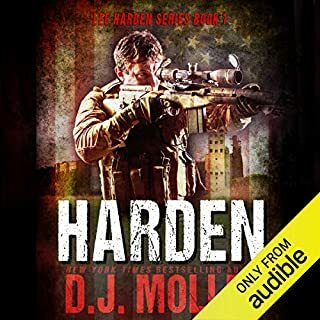 Through vivid description, a subtle build of atmosphere, and strong character-development, D J Molles offers a story that is well-paced with a natural flow. Christian Rummel's steady narration is seemingly effortless and very easy to listen to. I'm not the greatest fan of zombie novels or movies, but this work is different. There is a sensitivity and humanity in the writing. This is reflected and imbued in the feelings, thoughts, and motivations of the main character. Despite the desperate situation, there is light in the darkness, and a compassion for survivors and infected alike. It is a tale of relationship and respect and striving to do the right thing. This is a well-measured account of survival against all the odds. A compelling read. What did you like most about The Remaining? The scenario is developed in a consistent and plausible manner. The characters are believable and human. The story moves a long at a good pace and keeps you intrigued. The balance of background detail to main story line is just right. The single mindedness of the "Special Forces" main character feels accurate. Have you listened to any of Christian Rummel’s other performances? How does this one compare? 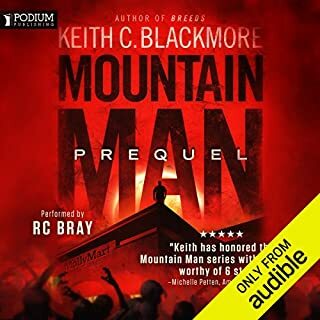 I really enjoyed this book and will we read/listen to the rest of the series. It has some new twists to this type of story, so it doesn't seem like just another Zombie/Post Apocalypse series. I enjoy the narrator and don't think about his permanence much, which is the way it should be for me. While books (graphic novels) by Robert Kirkman & Max Brooks are the best in the Genre), The Remaining is Zombie Virus tale that is well written and engaging. 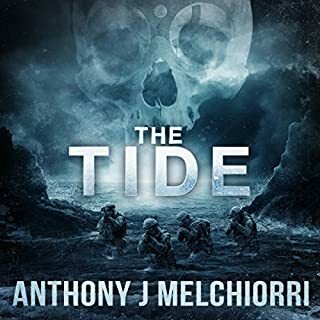 The story is thorough in painting the details of a special forces warrior (and his craft) and how he might engage a post apocalyptic world and think through the many horror this new world presents. A guilty pleasure, but an enjoyable one for fans of the genre or horror fans. I wouldn't discourage them from reading it but I'd warn them of the inconsistencies in the story. 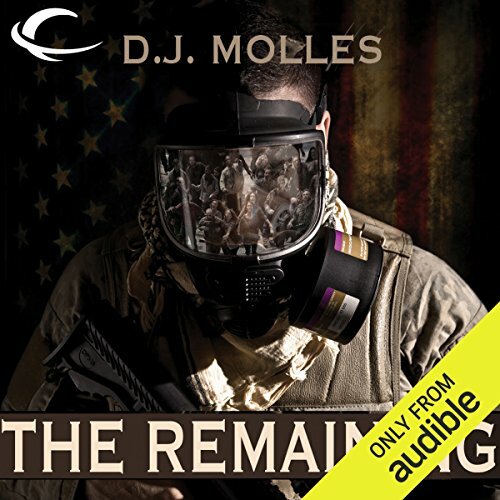 Would you ever listen to anything by D. J. Molles again? Possibly,if I get curious/bored I liked the idea of the story he had some nice ideas, just thought it was badly thought through and if he sorts out the inconsistencies in the plot in later series I may consider. I liked that the narrator wasn't too annoying, his female voices sucked. Did The Remaining inspire you to do anything? Overall a nice idea, spoilt by the inconsistencies in the writing, and the stupidity of the main character. At one point a character's eyes change from brown to blue, complaints of dehydration while standing in a stream washing!, Would we run out of food and basic supplies so quickly after only a month. Would we forget we can drink water from a stream? Surely bacterias can be controlled with anti'bs. Why just one man and a dog per state surely a small squad would of been more feasible. But hell super fast zombies, with prey drive and a modicum of intelligence that I liked. I think the high ratings for this book are more reflective on how hard it is to find a well written book in this genre, and yeah I guess it is one of the better ones.